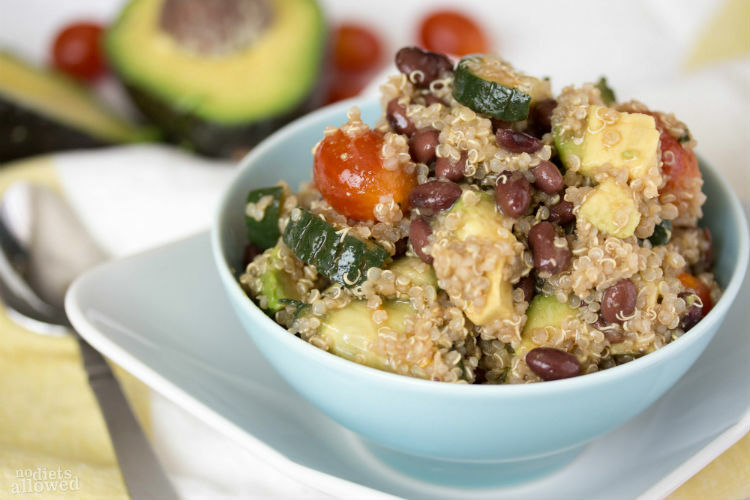 Whether you’re preparing lunch, dinner, or a family BBQ, this simple quinoa salad will be a hit! 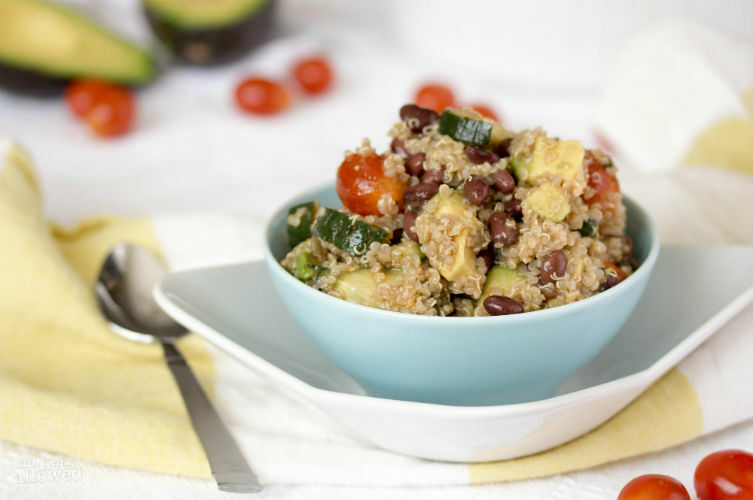 I have no self control when I make this killer quinoa salad and end up eating it with every meal until it’s gone. Okay, sometimes it’s just my meal. It’s tangy, zesty Balsamic dressing with lots of soft and crunchy textures make it pretty irresistible. 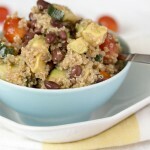 Quinoa has become more and more popular recently. There’s a good reason why. 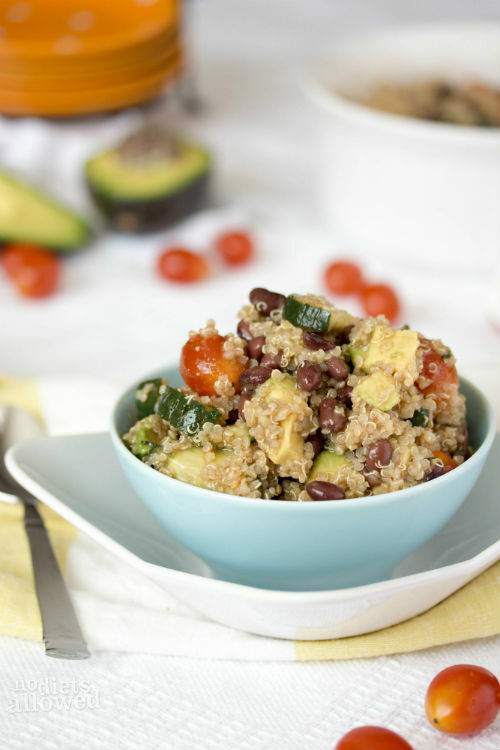 This super grain is power-packed with protein, fiber, iron, and other vitamins and minerals. My favorite quinoa to purchase is truRoots Organic Quinoa. I purchase a 4 lb bag which lasts at least 6 months or longer. Since quinoa has a mild flavor and rice-like texture, I love throwing in a 1/2 cup when cooking rice. No one will ever know you did! Try it out with my Sesame Ginger Chicken Stir-fry recipe. Don’t forget to let me know if you were able to health-punk your family. I love hearing about successes! Balsamic vinegar can cost anywhere from a few dollars up to $400! As you can see, not all Balsamic vinegar are created equal. I’m not a wine drinker (or any drinker for that matter besides water), but I imagine the concept to be similar. The longer a bottle ages, the more expensive and better quality. Fortunately for us who can’t afford a $400 bottle of vinegar, this $5 Colavita Aged Balsamic Vinegar has great flavor. I also really like the thicker, creamier texture of this Trader Joe’s Balsamic Glaze. It will create a thicker dressing, but absolutely to die for. Bring 2 cups water to boil. Meanwhile, rinse quinoa through fine strainer until water runs clear. Add quinoa to boiling water, cover, and reduce to low heat and allow to simmer for 15 to 20 minutes until tender. Once quinoa is done cooking, pour back into strainer. Rinse well with cold water for 1 to 2 minutes. Put quinoa in medium-sized bowl. In separate small bowl, combine lime juice, balsamic vinegar, olive oil, salt, and pepper. Pour over salad and stir well. For a perfect Summer meal, combine this salad with my Chili Chicken Skewers!